1. Install Required Stuff and add you to Sccm Site Admin group. After you have installed you required stuff like Powershell 3.0 and SCCM 2012 Console on your client or server, you are ready to go to next steps. 2. Start the builtin Windows PowerShell Integrated Scripting Environment (ISE) as a SCCM-Site-administrator. 5. 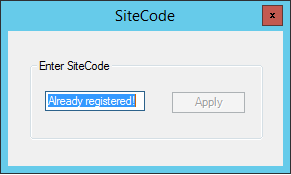 Now you are ready to do some rocken roll with your Sccm Site. ex: Try following line, to see all cmdlets for Configuration Manager 2012. And Here some cool script you can put at beginning of your script, to validate if the configMgr Module is loaded or not. If not loaded – load the module. Else go to cmSite Drive. System Center Configuration Manager Team Blog gives an early preview of the in-place upgrade to Windows 10 process via the Configuration Manager task sequence. The upgrade scenario is not new, or a replacement of a refresh, but the technology behind it has greatly improved says Aaron Czechowski as he explains the new in-place upgrade scenario for Windows 10 in this blog post. Along with the Technical Previews of Windows 10 and Windows Server, Microsoft has made the Microsoft System Center Technical Preview available for download. The Microsoft System Center Technical Preview delivers unified management across on-premises, service provider, and Microsoft Azure environments, thereby enabling the Microsoft Cloud OS. System Center offers exciting new features and enhancements across infrastructure provisioning, infrastructure monitoring, application performance monitoring, automation, backup and IT service management. The preview is focused on cloud based solutions and available for testing now are the following components: Orchestrator, Operations Manager, Data Protection Manager, Virtual Machine Manager, and Service Manager. You can download the System Center Technical Preview from MS Evaluation Center. For a preview of Configuration Manager, our favorite piece in the puzzle, we will have to wait until sometime in early 2015. Microsoft has also released VHD files for each of the above mentioned products available in the current Technical Preview. These can be used to easily boot a virtual machine to start testing more quickly, retain custom settings, and allow you to start from a scratch installation if you need to. Don’t miss blog post from the SCCM Team about Windows 10 enterprise management with System Center Configuration Manager and Intune. 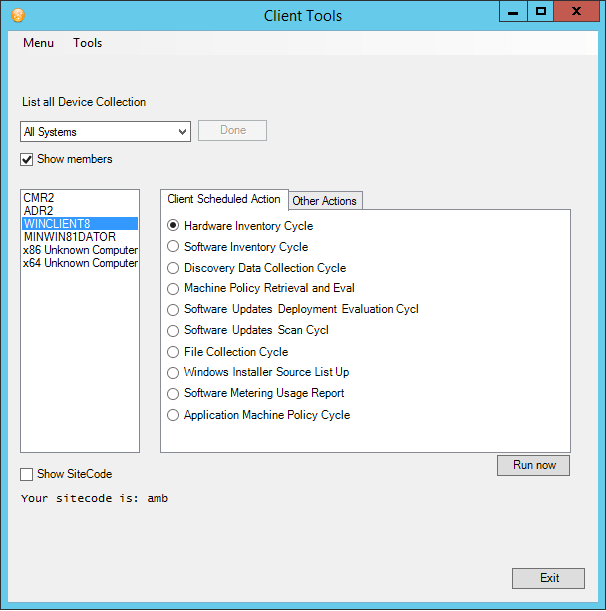 Microsoft has released Cumulative Update 2 for System Center Configuration Manager 2012 R2. It is an optional update (that does not affect the product support lifecycle) that contains fixes for various issues, including Windows PowerShell. For more information about CU2 see the knowledge base article (2962855) and the SCCM Team Blog. 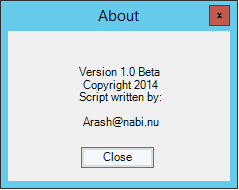 SCCM Client Tools (right now it´s Beta) is Microsoft Powershell tool, the GUI is created with SAPIEN Powershell Studio. Import Computers from SCCM collection and initiate client tasks. 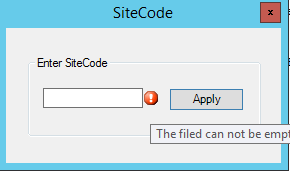 2) Create a package in sccm but do not create a program. Distribute the package to DP. 3) Edit your Task Sequence and add ”Run Powershell Script”. Browse for the package you just create and write the name of the script in ”Script Name” section. Change execution policy to ”bypass”. DO NOT forget to update your boot image to support .Net and Powershell. Windows To Go lets you to boot and run Windows 8 (Enterprise) from a USB stick as well as allowing you to connect to your corporate infrastructure from that image. So how to deploy Windows To Go in your organization? 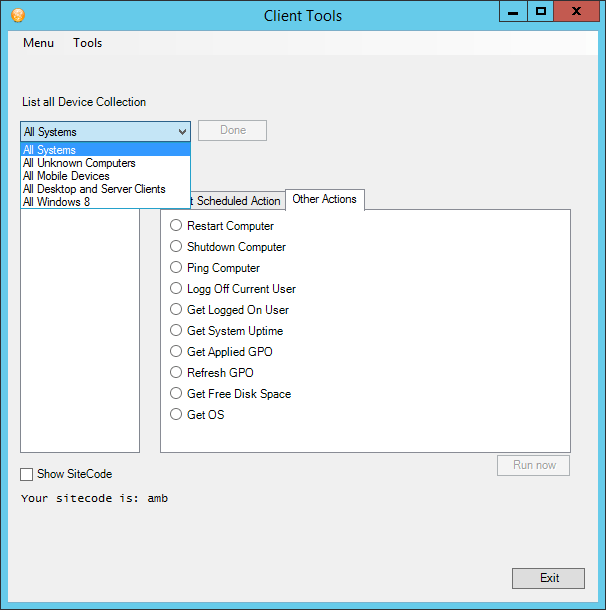 Peter Daalmans (MVP in System Center Configuration Manager) has published a blog article in three parts about how to deploy Windows To Go (onto a Ironkey Workspace W500) using SCCM 2012. As an alternative, Mikael Nystrom has posted a comprehensive blog post about Deploying Windows To Go devices using PowerShell. He generously published the script as well. Thanks Mikael! Hur mycket kan du om SCCM 2012 R2? Microsoft System Center Configuration Manager Product Group har skapat en Quiz-applikation där du kan testa dina kunskaper om olika nyheter och funktioner i System Center 2012 R2 Configuration Manager. 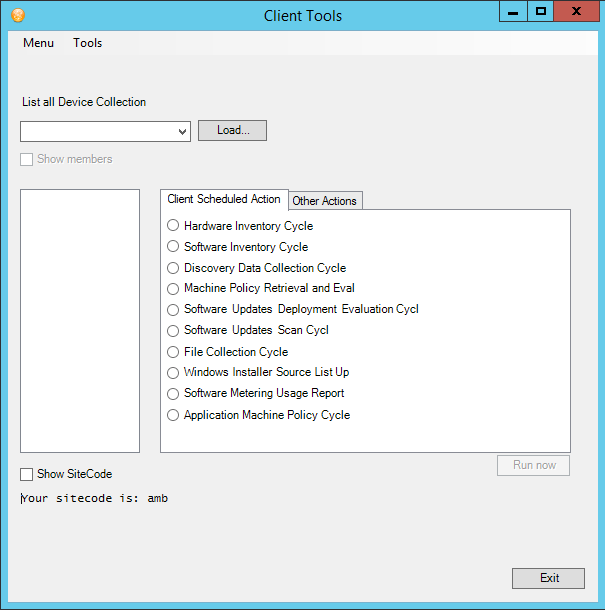 This is a collection of SCCM 2012 right click tools.